Visa Stamping is a process in which visa is endorsed in the passport. We are doing Visa Stamping services for Kuwait, Saudi , Khazakhistan, Switzerland, Nigeria, Italy, Australia, etc…… According to Visa, Charges, supportings and duration will be different. A visa is a document showing that a person is authorized to enter the territory for which it was issued, subject to permission of an immigration official at the time of actual entry. The authorization may be a document, but more commonly it is a stamp endorsed in the applicant's passport. Some countries do not require a visa in some situations. The country issuing the visa typically attaches various conditions of stay, such as the territory covered by the visa, dates of validity, period of stay, whether the visa is valid for more than one visit, etc. A visa generally gives non-citizens clearance to enter a country and to remain there within specified constraints, such as a time frame for entry, a limit on the time spent in the country, and a prohibition against employment. Visas are associated with the request for permission to enter (or exit) a country, and are thus, for some countries, distinct from actual formal permission for an alien to enter and remain in the country. Residence visa are some of them. Visas can also be single-entry which means the visa is cancelled as soon as the holder leaves the country; double-entry, or multiple-entry which permits double or multiple entries into the country with the same visa. Countries may also issue re-entry permits that allow temporarily leaving the country without invalidating the visa. Even a business visa will normally not allow the holder to work in the host country without an additional work permit. 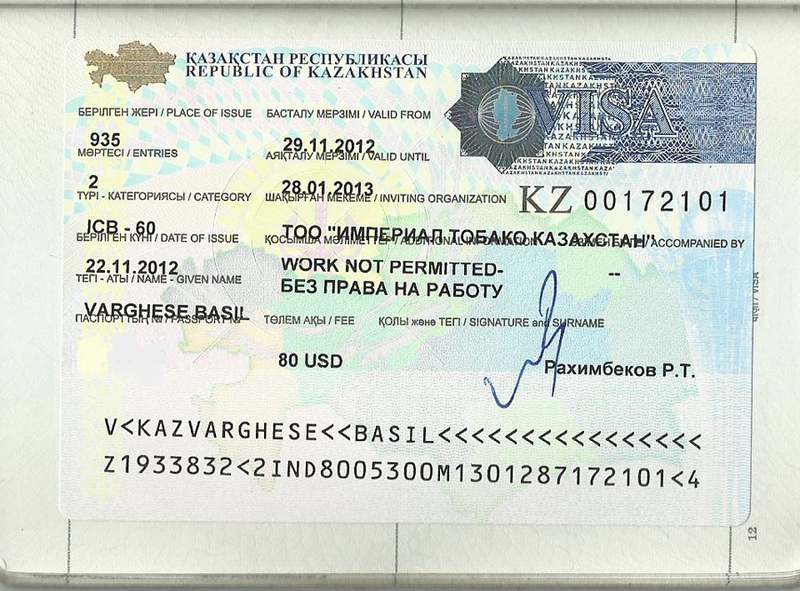 Once issued, a visa will typically have to be used within a certain period of time.